Using the device on the Android platform, you constantly come across the work in the Play Market utility. For the average user, this is the main source of utilities and programs on a smartphone or tablet. But sometimes in the program itself fails. How to prevent errors Play Market and solve existing? These questions will be sorted out by paragraphs in this article. To avoid most of the problems, it is necessary to periodically clean the cache of programs, this can be done using a special utility, or you can independently clean the cache for the Google service. This will allow the system not to operate with unnecessary data that may lead to incorrect operation of programs. The most common bugs are caused by a failure in the Internet connection. So the first thing is to just reboot the device and try again. If you did not manage to get rid of the failure, then clear the cache of the Play Market utility. Plus, it is desirable to clear the cache of the Google Framework program. It also helps to delete your Google account, then reboot and re-create the account. 413 number and many others. If these actions could not solve the problem, then consider the situation in more detail. For detailed study, you need to record the number / name of the warning, which was highlighted on the screen. Consider in detail the most famous bugs and solutions. In each phone and Android version, the menu names may differ slightly, but have patience and, most importantly, look for the final search point when searching. It is usually unchanged on all versions of Android. 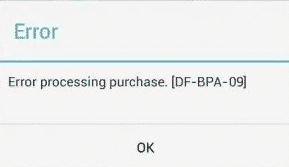 It occurs at the processing stage of the purchase when paying or loading the program. reboot the device and re-download. If the bug remains, then try to download the required program using a computer and the website of the Play Market service. 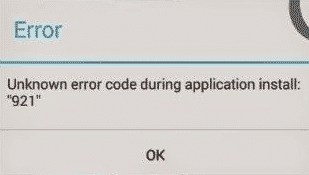 It appears as a result of installing or updating applications. This is mainly due to incorrect operation of the system with an external memory card. The most frequent users of HTC devices face it. Clear the cache of the built-in download manager and the Play Market cache. These programs are in the installed section. Erase all program updates that may affect the appearance of the Play Market error, and then clear the program cache. Turn off the smartphone, remove the SD card and after switching on, perform the application installation operation again. You can also disable the memory card through the settings menu and the memory section. If the application is installed and working, you can insert the memory card back and turn it on. If the bug occurred during the update of the application, then try transferring it from the memory card to the internal memory of the device. And then make an update. After completing the update, you can move it back to the memory card. Occurs when installing a game or removing it. Associated with incorrect account authorization. Therefore, the correction in this case is typical - clearing the Market cache. If the bug remains, then you need to delete the Google account, followed by a reboot and a new registration of this account. It may also appear together with the warning “Package file is damaged.” This may be due to incorrect network operation. Therefore, try to perform the installation via cellular data, and not through Wi-Fi. In addition, try clearing the application cache. It may also be the cause of the problem. In the account settings uncheck all the checkboxes responsible for data synchronization. This should help. Since we have removed all new data that could somehow affect the synchronization, causing this problem. 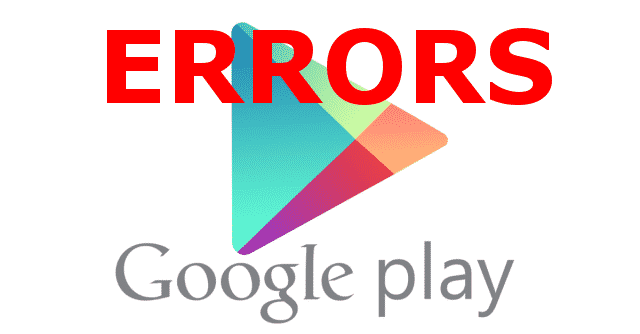 Play Market errors may also occur due to disabling the download manager. It is better not to turn it off, as it is responsible for the comprehensive control of accounts and checking for updates and synchronization. In order to see if it is enabled, go to the "Application Manager" and find the "Download Manager". If it is disabled, then look for disabled ones. Turn it on and restart the device. Then try connecting to your account again. The reason is possible in the wrong organization of downloading services or unsuccessful unpacking. To solve this problem, you must have superuser rights, which is not always easy, and separate articles are devoted to this. If you have these rights, then Root Exporer is needed to help you delete the required application folder. The folder must be in the Dare / date location. After uninstalling, reboot and try installing it again. As you can see, solutions that allow correcting errors of the Play Market do not require large knowledge and skills. The main thing is to carefully follow the instructions and if you have any questions, do not try to do something on the "chance", but read the decision again.